Suitable for all skin types, the formula has been clinically shown to enhance skin tone, texture and resilience; it targets fine lines and wrinkles and reduces the appearance of discoloration to promote a smoother-looking, more even toned complexion. The formula contains a 93.6% concentration of TNS®. TNS® (Human Fibroblast Conditioned Media) is a naturally secreted and stabilized growth factor blend formulated from naturally occurring growth factors, antioxidants, soluble collagen, cytokines and matrix proteins. It helps to improve the appearance of fine lines, wrinkles, skin tone and texture. 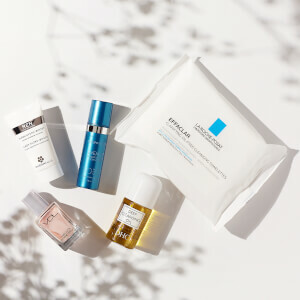 Expect a rejuvenated complexion with improved strength, tone and texture. Apply in the morning and evening after cleansing and toning. If you are using a topical prescription product, you should first consult your physician. Apply to your entire face (neck and chest if desired). Dispense on the back of your hand and blend together before applying to skin. Avoid getting in eyes. If contact occurs, rinse eyes thoroughly with water. Human Fibroblast Conditioned Media, Isoceteth-20, Ethoxydiglycol, Acrylates/C10-30 Alkyl Acrylate Crosspolymer, Aminomethyl Propanol, Disodium EDTA, Ethylhexylglycerin, Glycerin, Caprylyl Glycol, Caprylhydroxamic Acid, Phenoxyethanol, Parfum/Fragrance, Hydroxycitronellal, Linalool, Coumarin, Alpha-Isomethyl Ionone, Geraniol, Isoeugenol. The product is easy to use and I am starting to see results. After more time, I could easily raise the rating to 5 stars. SkinMedica TNS Recovery Complex 1 oz. The Best product EVER! Thank you SkinMedica! I have been using Skin Care Rx for my skin care needs for many years now and you always deliver on time, Fresh products. Thank you for offering the larger TNS Recovery Complex 1 oz. 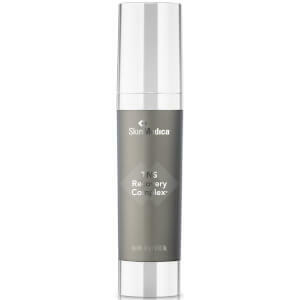 size ~ This product along with the Dermal Repair have changed my skin from neglect to Beautiful in 3-4 months. I am a dedicated user and believer in the SkinMedica Line of products!